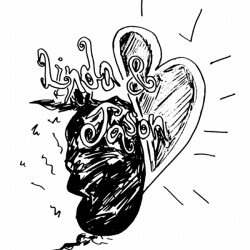 Yesterday evening I went to a performance of Coffeehouse Theatre‘s production of the original play Linda & Jason, playing at the Theatre Passe Muraille Backspace (Venue 11) as part of the 2012 Toronto Fringe Festival. I must first admit that I was originally put off by the banality of the title. I mean, let’s face it, a title like Linda & Jason seems about as original as Stephen Harper’s haircut. The play tells the story of 26-year-old Linda who has inherited her dead grandmother’s house. She moves in with the intention of cleaning up and selling it. However, she quickly begins dating Jason, a 17-year-old high school student to whom she lies about her age. They break up when he discovers the lie and the rest of the play tries to deal with issues of personal garbage, growing up, and not being where you think you should be. I thought the acting in this production was generally good. The characters of Linda and Jason seemed a bit pushed at times – especially in the more dramatic moments – but overall, it wasn’t bad. However, the standouts for me were definitely the actors in the roles of Linda’s cousin and Jason’s brother. Their timing and pacing were spot on. I’m not sure how I felt about the story and the writing though. There were moments, of course, where it felt very smooth and natural – especially Jason and Linda’s monologues at the top of the play. But it sort of fell apart for me when all is said and done. Sometimes it strove to be so ‘real’ that it felt a bit boring and mundane and the more dramatic scenes seemed to come out of left field making it difficult for me to empathize with the characters. In the end, Linda bequeaths the house to her cousin and leaves. We’re left to decide whether or not she is fleeing from her problems or breaking free. In the press release for Linda & Jason it states that “it’s a romantic comedy about two people growing up together.” Perhaps it’s because the actress in the role of the cousin was much more convincing, but I tend to side with her in the idea that Linda is running away – which left me rather unsatisfied as there wasn’t much ‘growing up’ to be had. I don’t know how old the author of this play is, but it honestly feels like it was written by someone quite a bit younger than Linda’s age of 26. The notion that one should have accomplished more by this age is evident and the character admits – more than once – that she feels old. The idea that a 26 year old is in the midst of a ‘midlife crisis’ is difficult to sympathize with. Maybe I totally missed the point, but this production was just lukewarm for me. Oh wow I thought this review was horrid and doesn’t do this play justice. I just saw the show this afternoon and had a lovely time and went online to see what others thought and it’s a terrible shame this is all I found. This play is cute and has some wonderful actors in it. The humor was subtle, but familiar and I loved the realism. After seeing some dreadful pieces of overacting in other plays this was a relief to go to and I personally highly recommend it if just to see something unique and original. I completely related to it, but and I’m sorry, but I dont know how old you are, but myself and many others in their late twenties/early thirties fresh out of university and who are in similar situations of confusion and I thought it was a little far fetched, but in the situation very believable. I wish the best to all those involved and hope anyone reading this will at least read my comment and see the play to decide for themselves. I saw this on the weekend too and I thought it was interesting. I would say it was worth while watching…. The ending wasn’t really “satisfying” to me but overall it was interested….